Our site will evolve and grow year on year, gradually becoming a more beautiful area of grass and wildflower meadows and maturing woodland. The maintenance of the grounds is imperative in ensuring the natural habitat we provide for local wildlife continues to thrive throughout the spring, summer, autumn and winter. Our staff take great care to ensure an ideal blend between an attractive overall landscape and a healthy level of biodiversity. Once the flowers and grasses have seeded, meadows can be mown and cleared of hay. 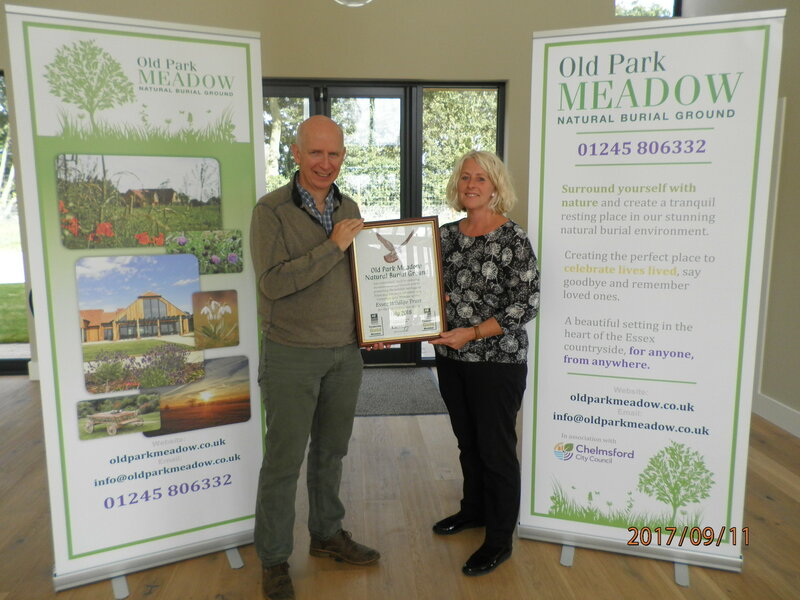 Lots of thought, planning and preparation has gone into ensuring that Old Park Meadow will become a well-balanced ecosystem that requires minimal management to keep the land at its best. Planting of new trees and plants, including memorial trees, will always be undertaken at the best time of year for successful growth. Wildlife is an important feature of Old Park Meadow Natural Burial Ground, a full list of our indigenous species of plants and animals can be found here. A full list of the trees and plants that have been planted can be found here. In the remembrance garden that encircles Old Park Lodge we have planted a number of hedgerows and flowers, including fuchsia, lavender, helleborus, brunnera and iris. We also have six beautiful silver birches, which the flowers surround, and five more in the car park as you enter. The rest of our site is also now planted with trees and meadow grass, but they will take a little time to come to full fruition. 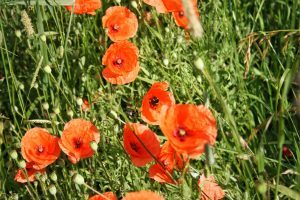 In the meantime we have poppies growing all over the site, which are sure to become part of the collection of wildflowers we see in the future. 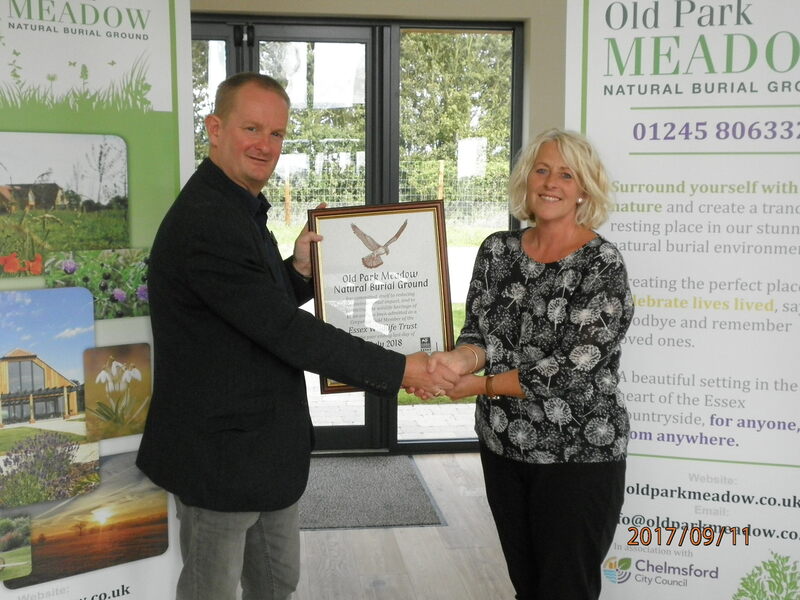 We are proud to be a Essex Wildlife Trust Gold Member, thereby supporting the local environment both on our own site and through the excellent work the Trust does throughout Essex.